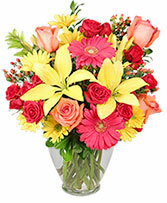 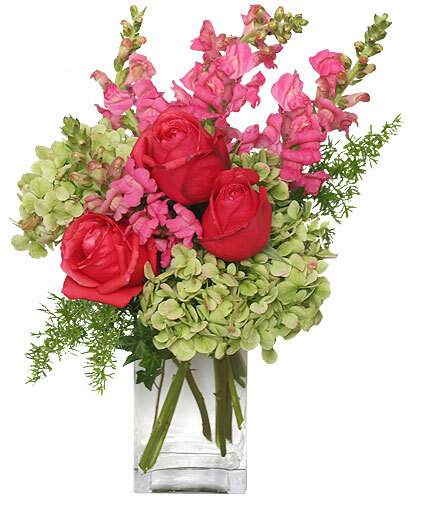 This gorgeous display of mixed spring flowers will certainly be a stand out among the sea of roses. 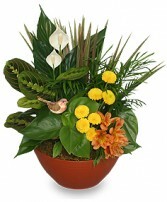 This sweet pave style arrangement will let your special someone know how much you care! 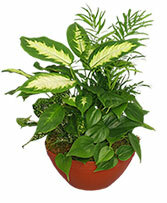 A mixture of green house plants in a ceramic or metal container.8" ` 14" container.